Dear Sai Readers, it is not possible for all of us to go to Shirdi and participate in Ramnavami celebrations with our Lord Sai Baba. He very well knows where and how we are stuck. Perhaps He always arranges something for us so that we dont have regret the loss of not being present physically. 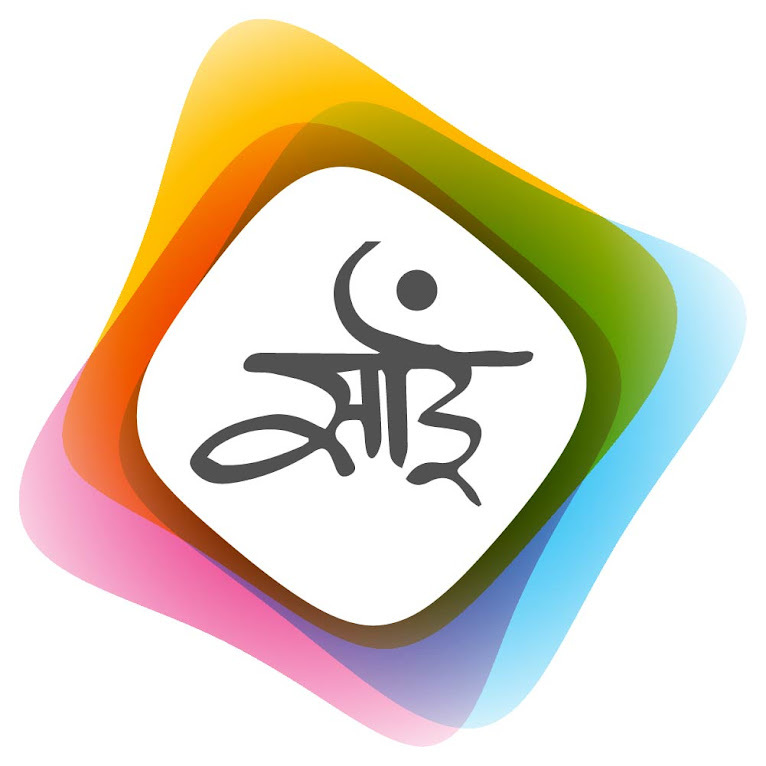 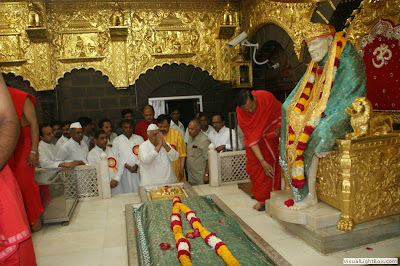 After every such festival, Shri Saibaba Sansthan of Shirdi uploads photographs on its official website. 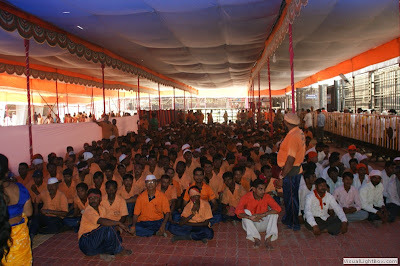 This time about 196 pictures are shared. 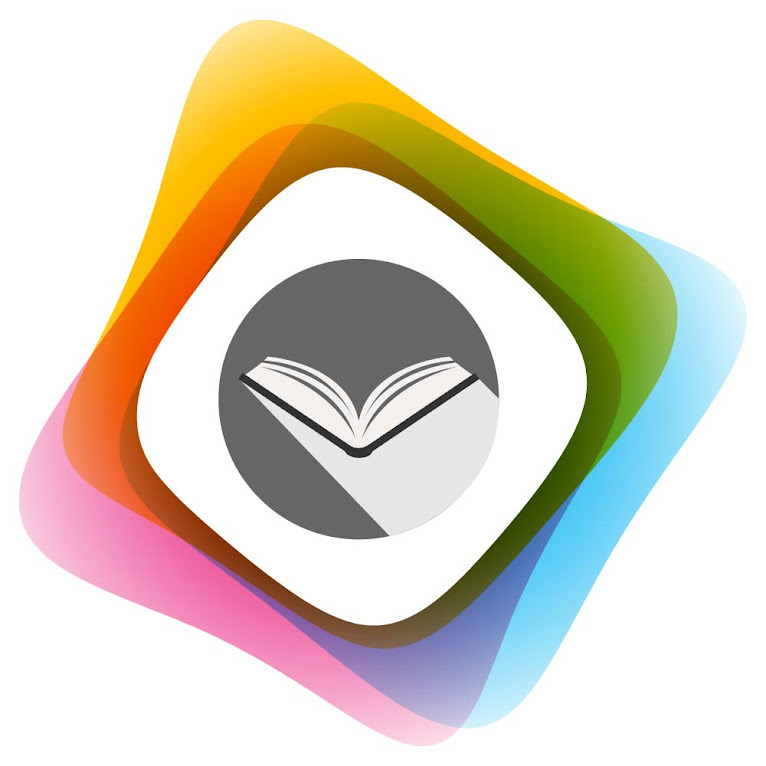 The photographs as shared by Sansthan are not in direct downloadable format. 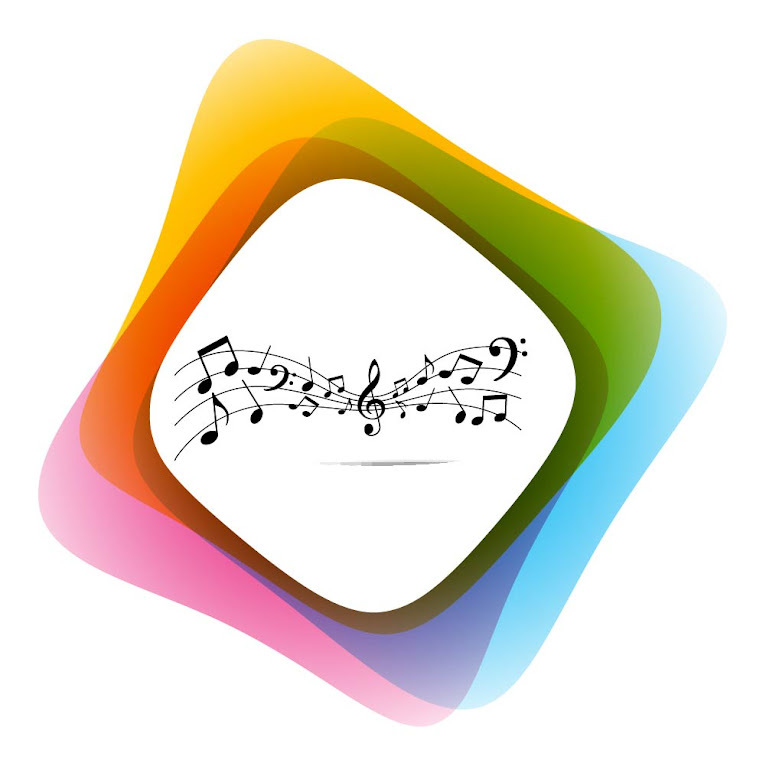 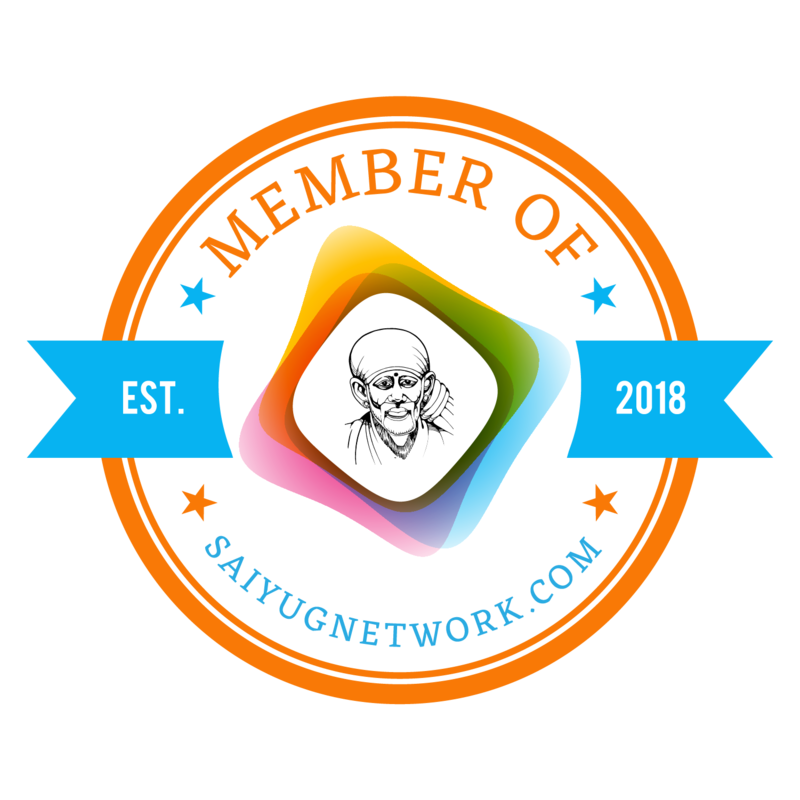 I have selected few of them for direct viewing and download link of all of them is given in the end alongwith three videos. 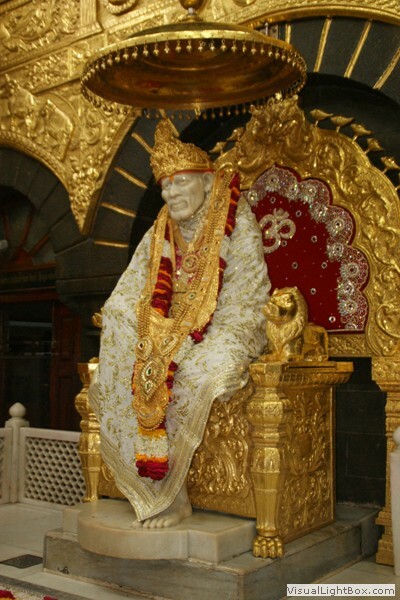 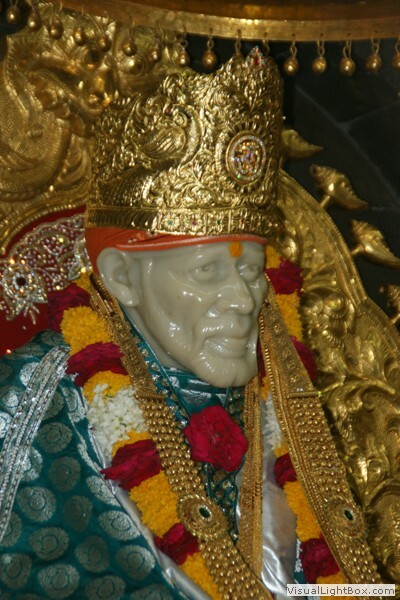 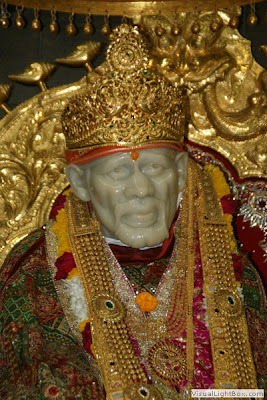 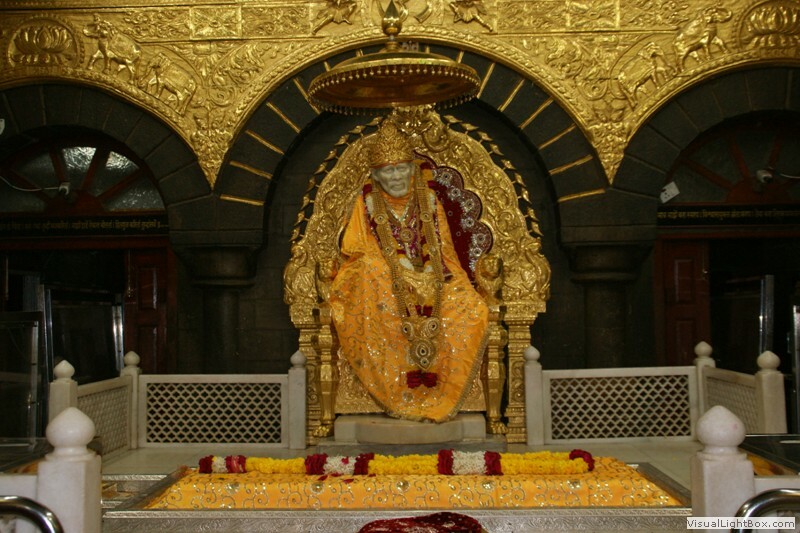 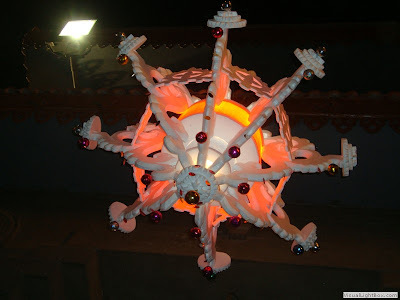 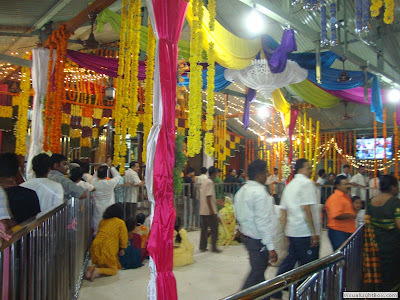 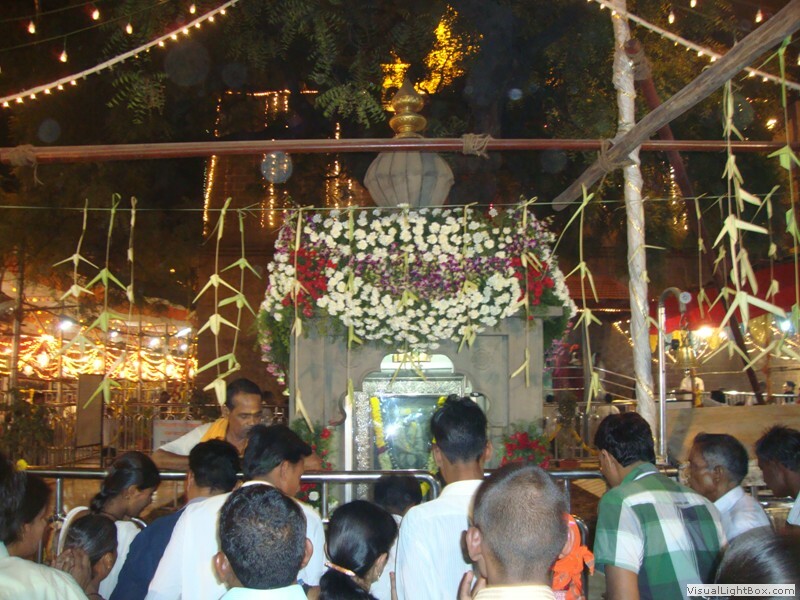 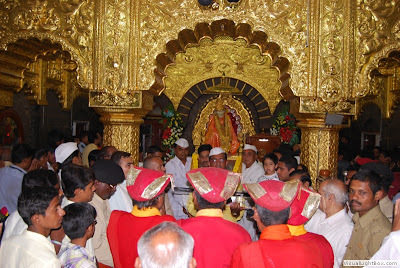 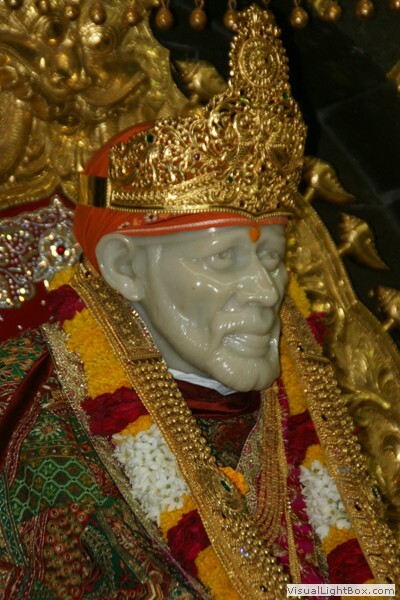 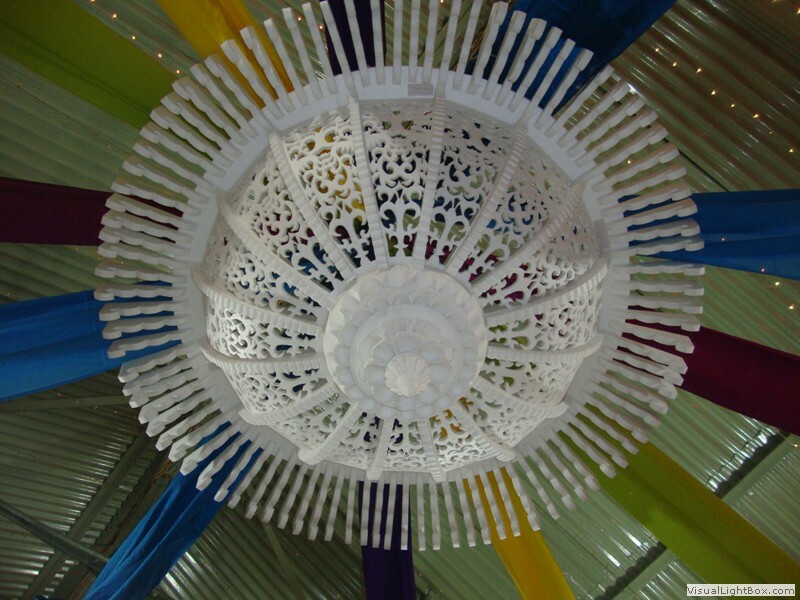 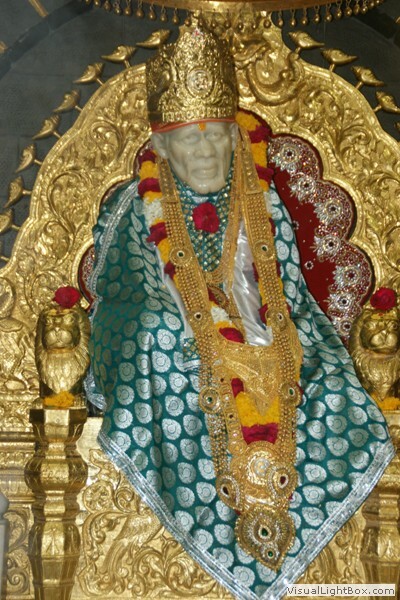 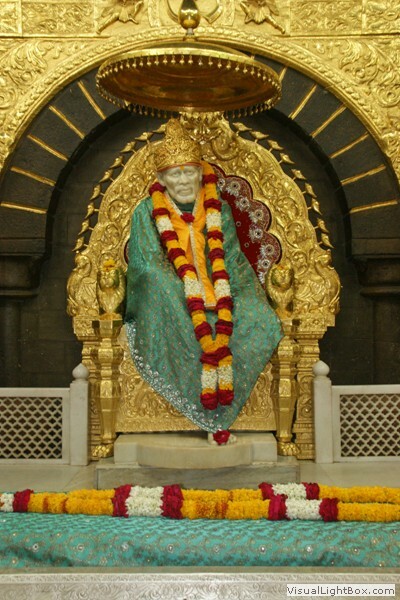 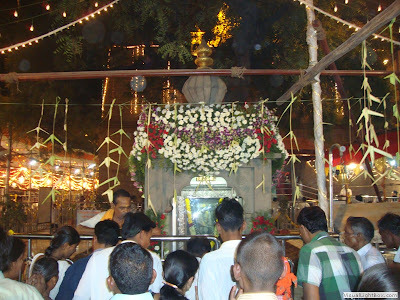 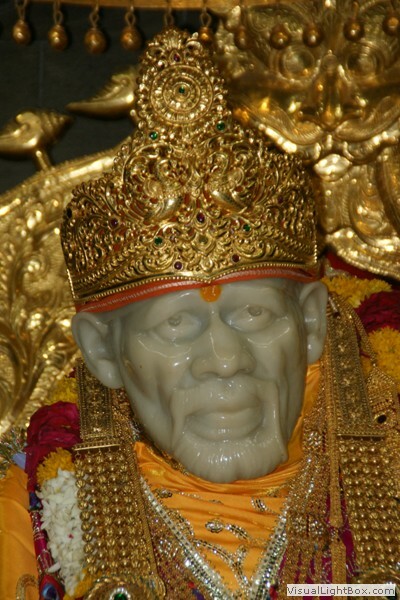 The following article is shared by Sai brother about celebrations at Shirdi. A 100 years back, in 1911 Shri Ram Navami was celebrated for the first time in Shirdi by Sai Baba himself. 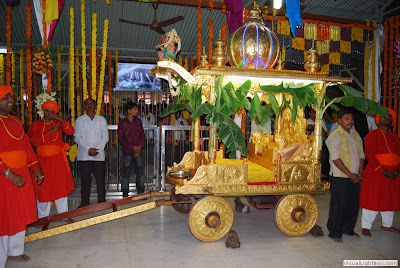 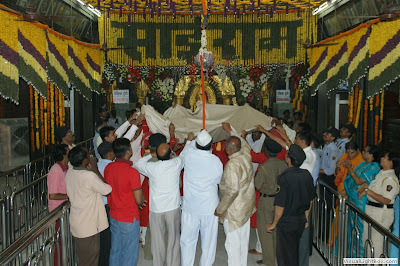 And now in 2011, to commemorate the Centenary year of Shri Ram Navami Celebrations at Shirdi, a 100 Palki Processions of Sai Baba reached Shirdi from all over India. 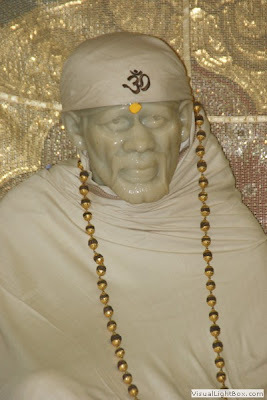 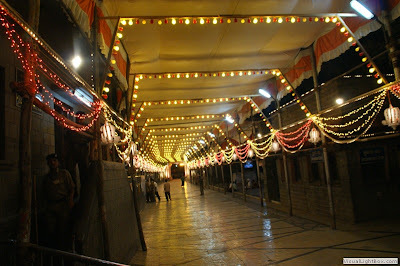 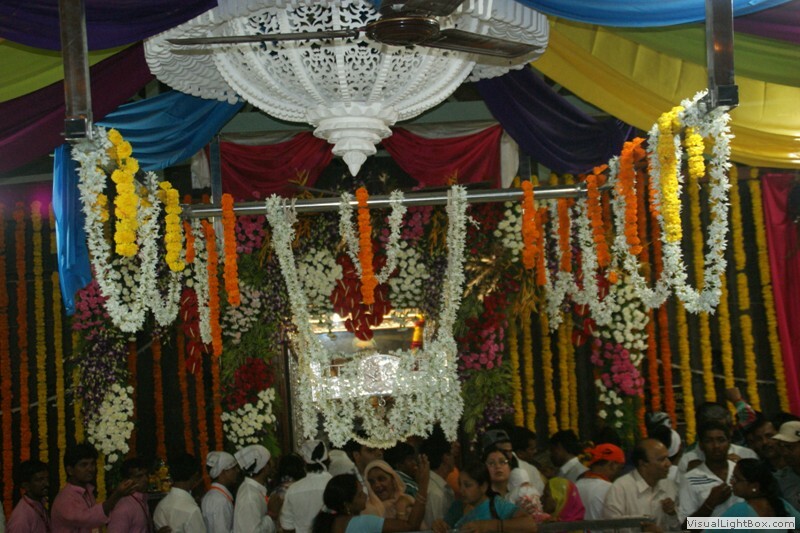 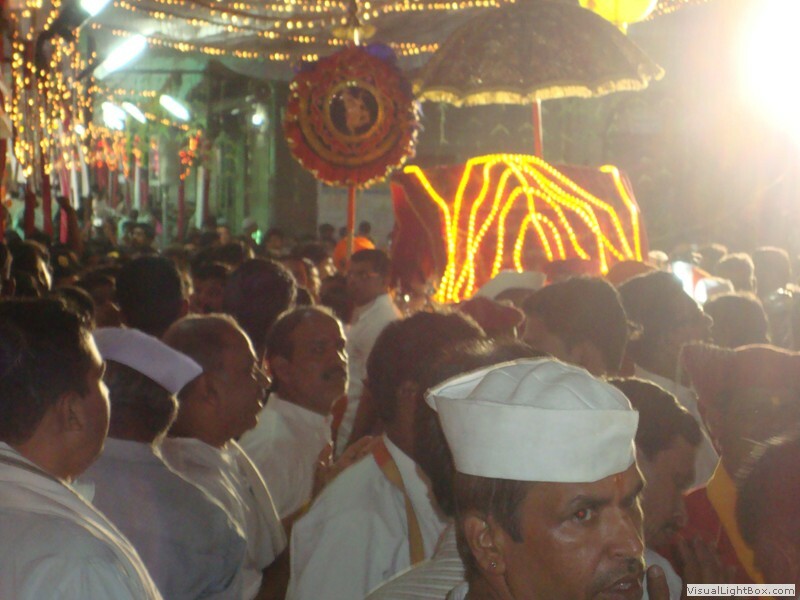 All the streets in Shirdi were filled with Baba's Palki processions. 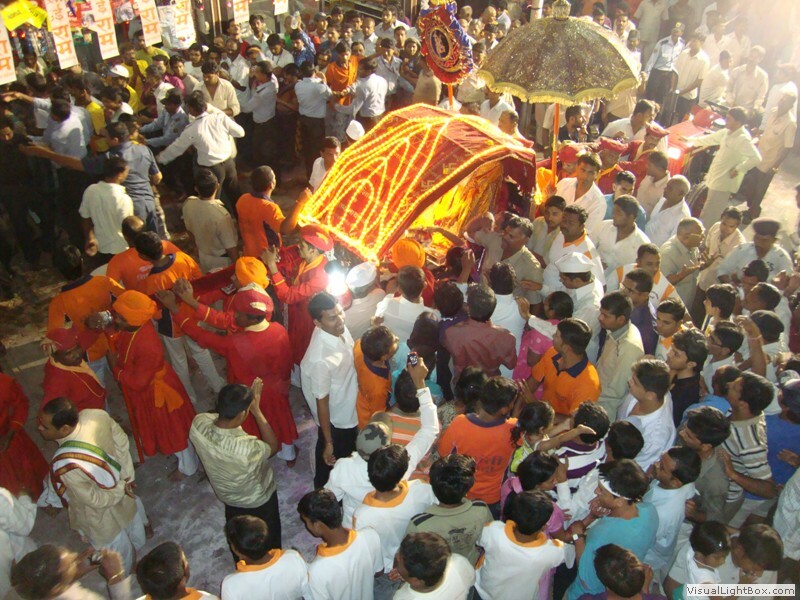 Lakhs of Devotees carried Sai Baba's Palki's all the way from several places in Maharashtra, Gujarat, Madhya Pradesh and Punjab. 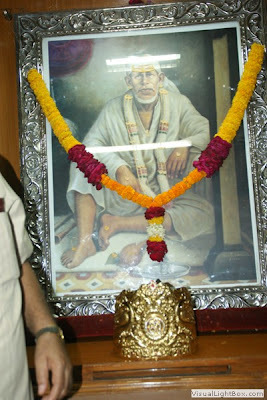 All walked for days and days all the way from Mumbai to Shirdi and some walked bare-foot all the way in the Padh-yatra. 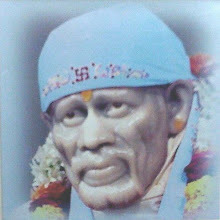 Devotees smeared with Gulal (Pink Color powder) danced all the way chanting Baba's name to the beats of the drums and claps. 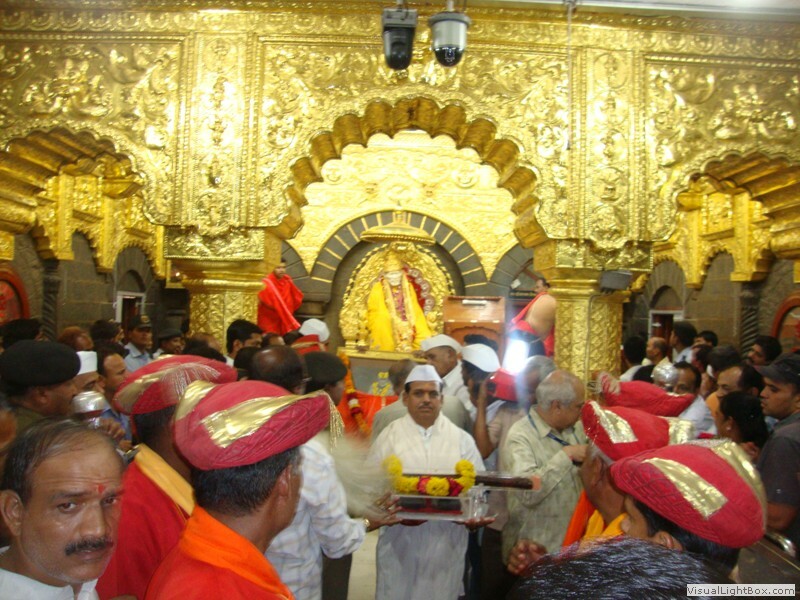 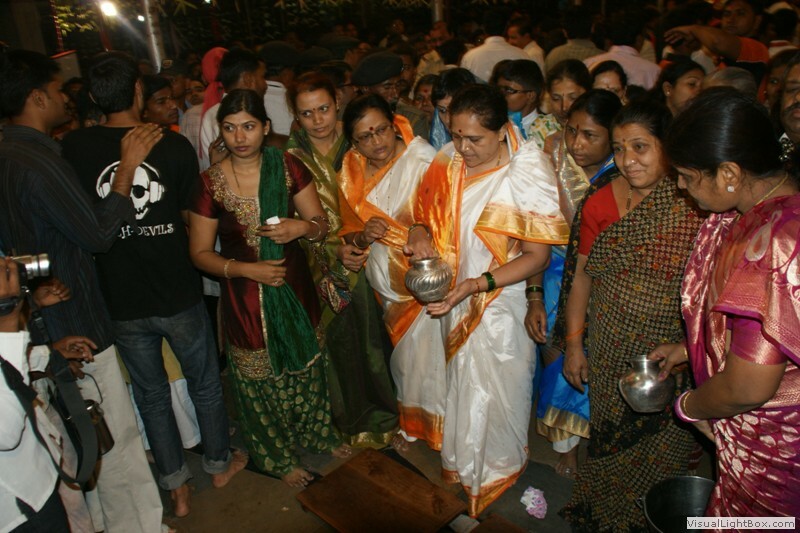 Two Padh Yatra groups from Mumbai consisting of only ladies also reached Shirdi carrying Baba's Palki. 25 Non-resident Indians from Dubai and a few from USA also walked all the way from Mumbai to Shirdi with Baba's Palki processions. A few devotees from Shirdi ran carrying a "Sai Jyot" (Burning Torch) all the way from Dhupkheda village to Shirdi for Ram Navami. Mumbai's Sai Devotee Shri. 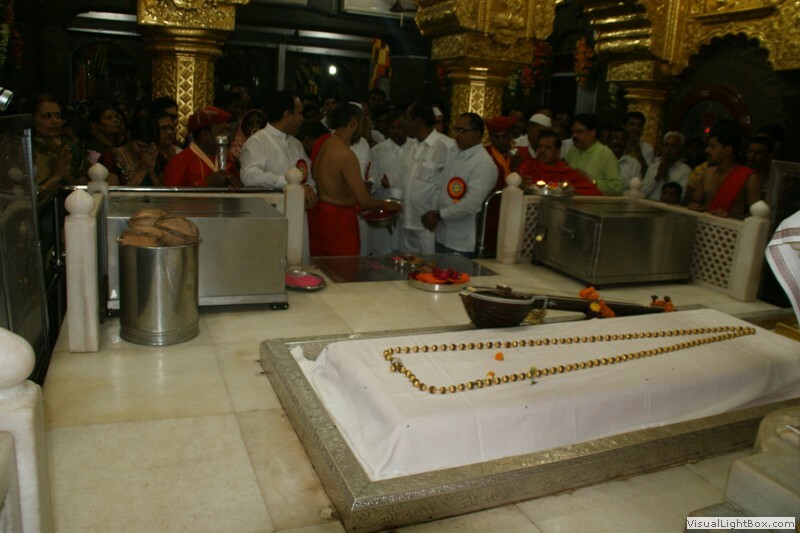 Manoj Mhatre donated a 920 gram Gold Crown worth Rs.21 lakhs. 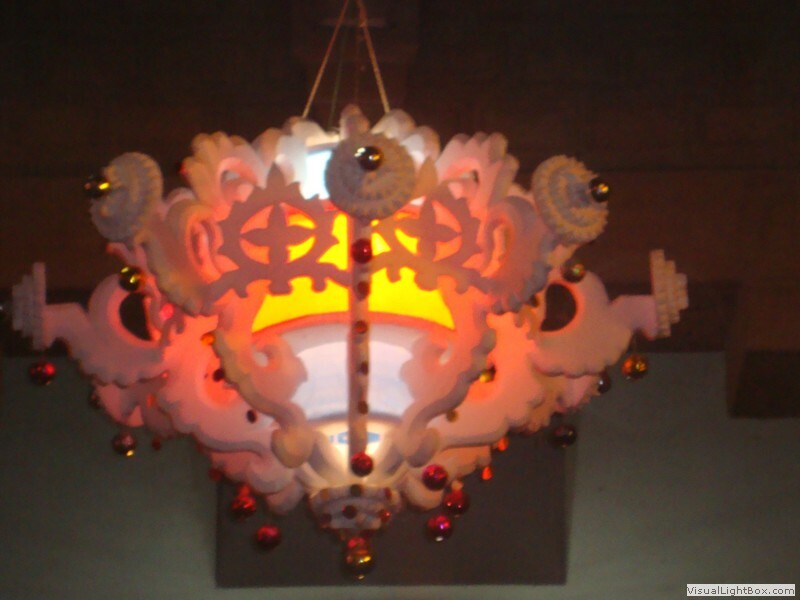 This crown studded with Diamonds in a "Om" shape was placed on Baba head during the Arati. 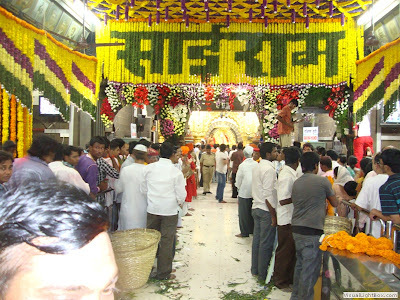 On 12th April, 2011, Ram Navami day around 4 lakh devotees reached Shirdi to have Baba's darshan and offer their love to him. 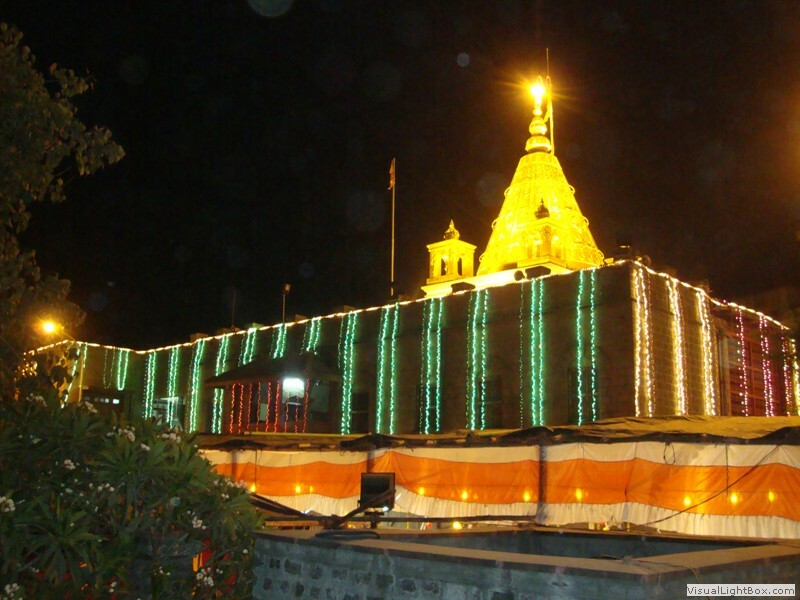 Shirdi Sansthan had to use additional man-power to coordinate the crowds. Cine actor Shri. Manoj Kumar, Shri. Prem Sagar (Son of Shri.Ramanand Sagar), Shri. 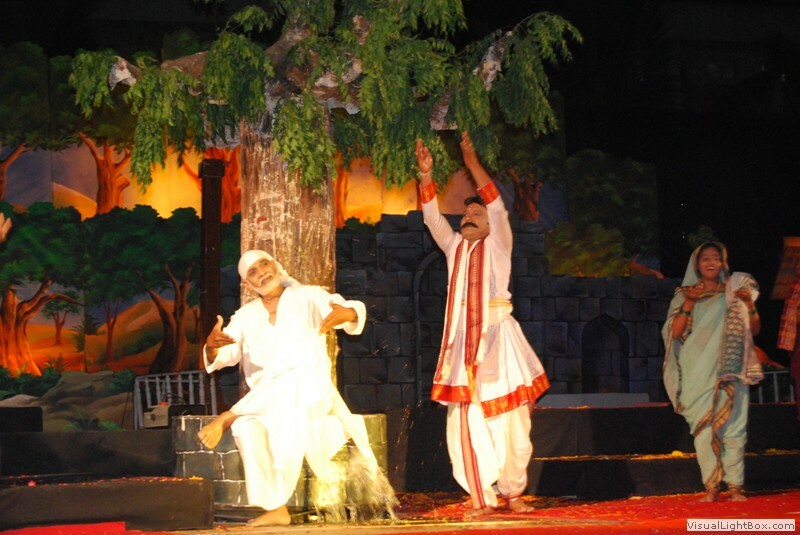 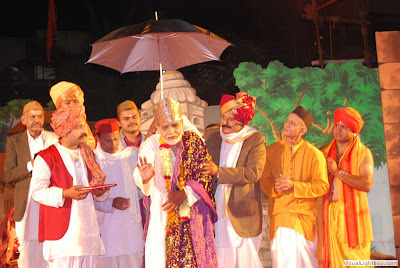 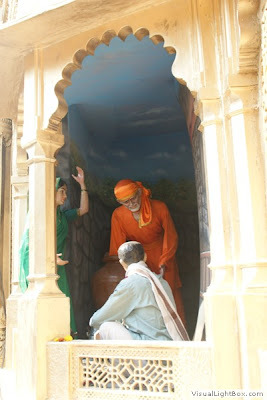 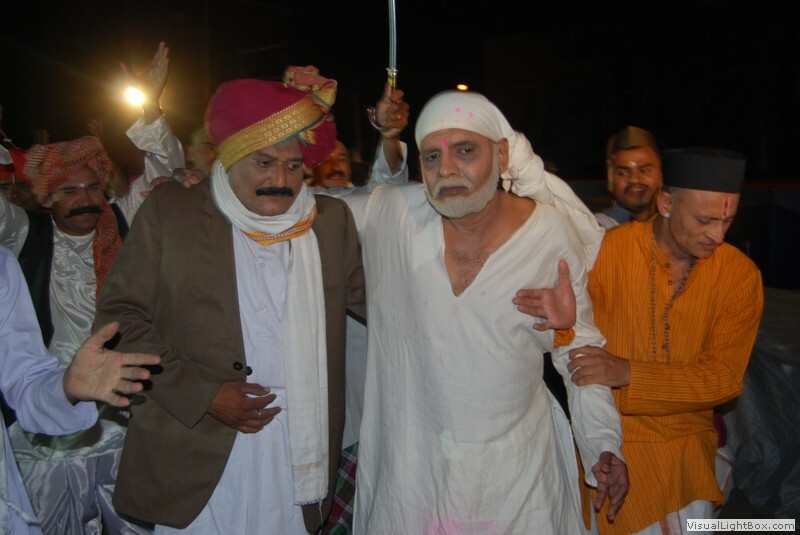 Sudhir Dalvi (Played the role of Sai Baba in Shirdi Ke Sai Baba) and Shri. 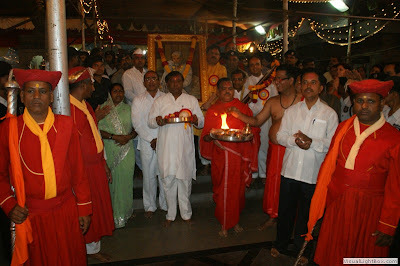 Subhash Rao Butty (Grandson of Shri. 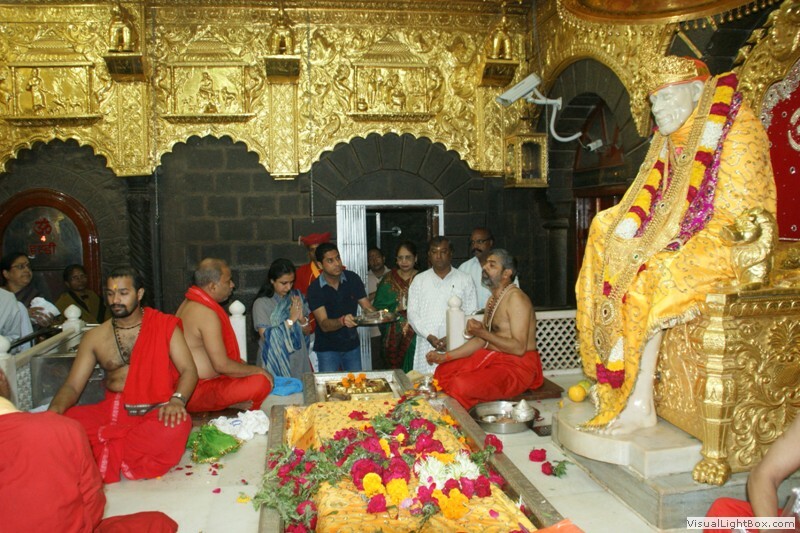 Gopalrao Butty) also came to Shirdi for Baba's darshan and were felicitated by the trustees for their efforts to spread the name of Sai Baba's Shirdi nationally and internationally. 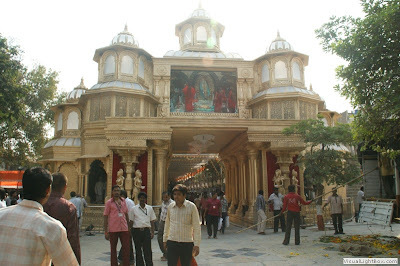 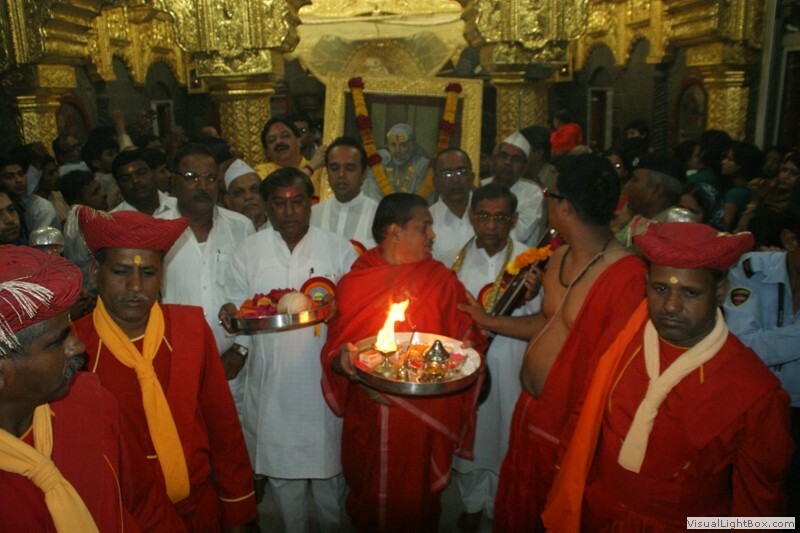 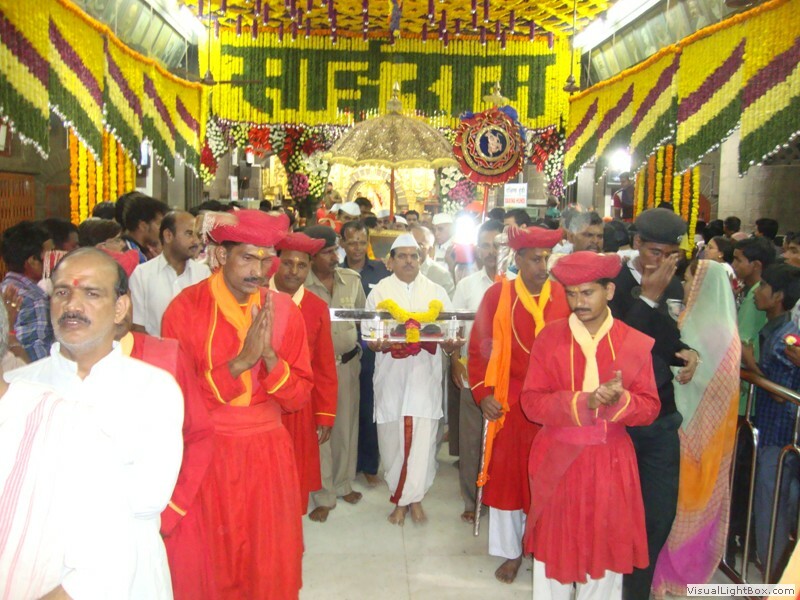 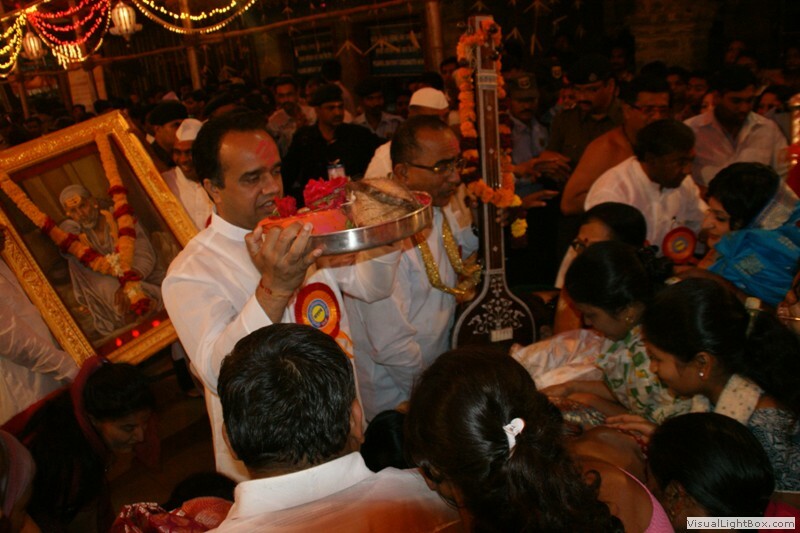 Several other Bollywood personalities & Celebrities too reached Shirdi on Ramnavami. 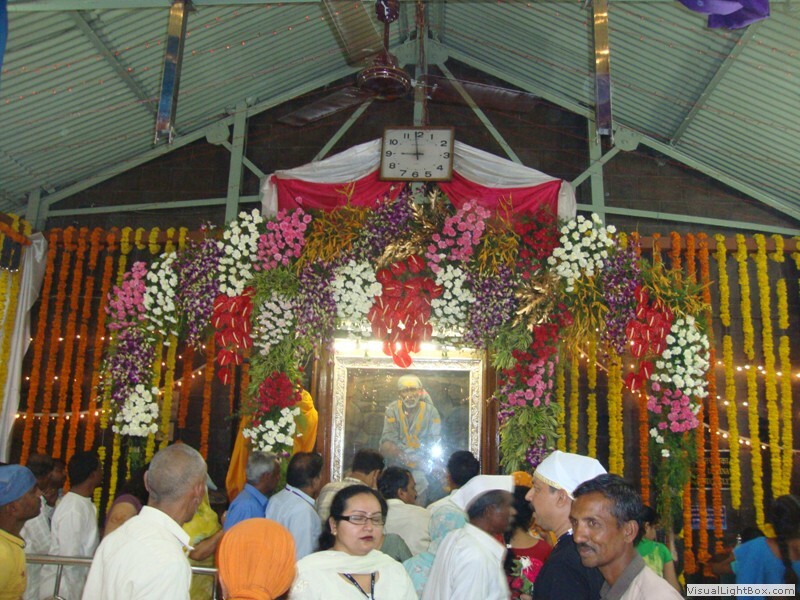 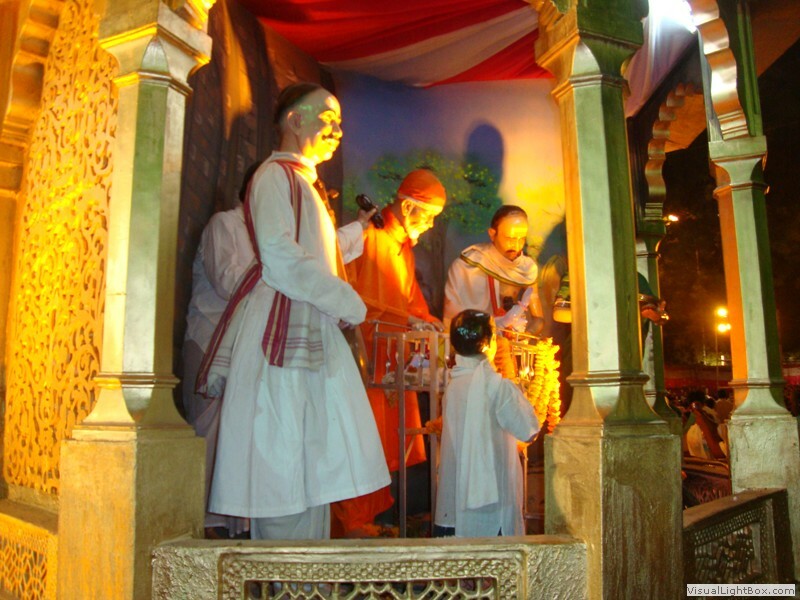 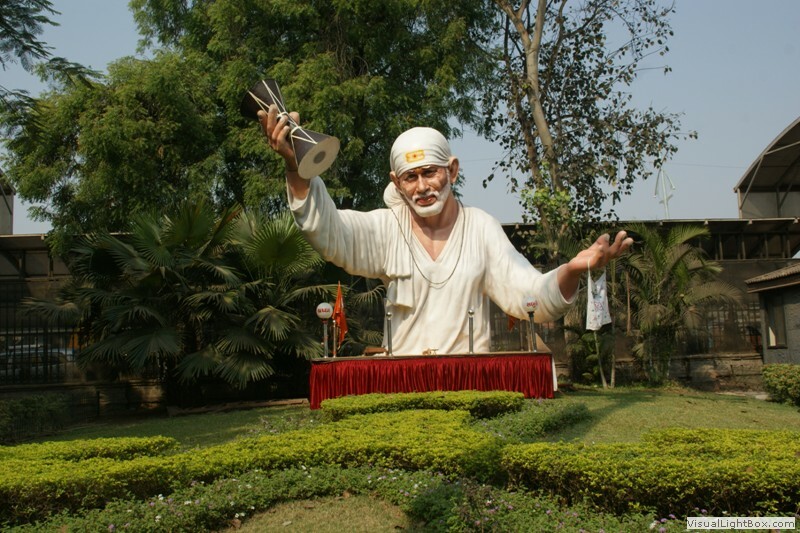 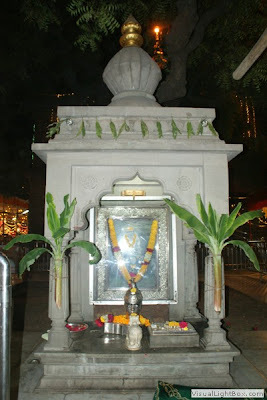 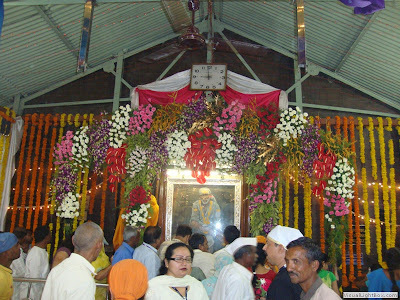 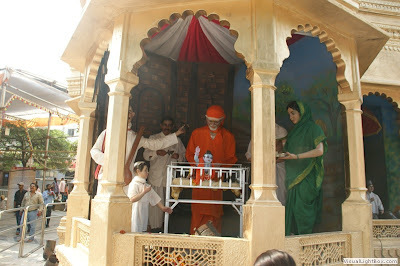 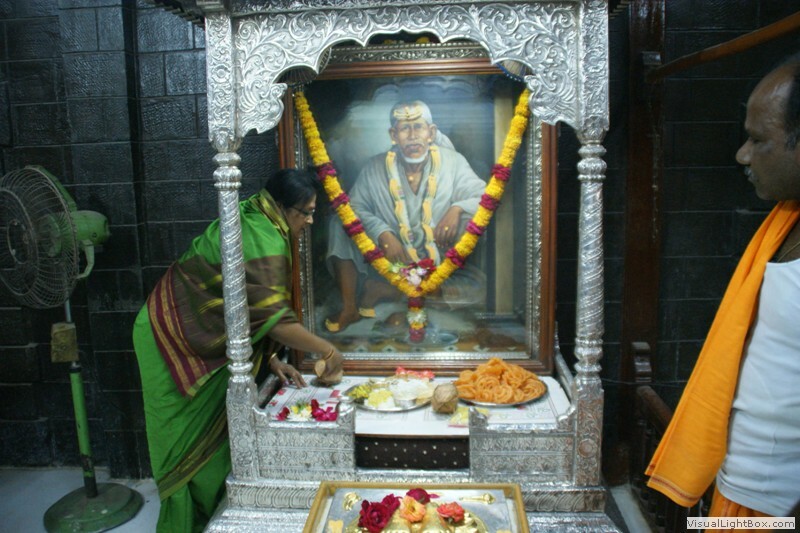 In the Temple premises near the Main Entrance of the Temple, a beautiful Statue of Sai Baba was made by Mumbai's Dwarkamai Mandal, who were later felicitated by the Sai Sansthan. 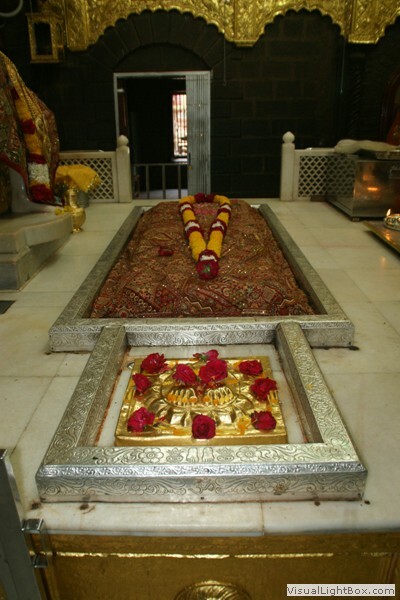 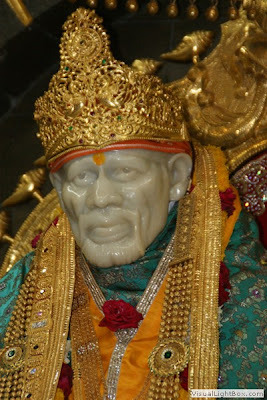 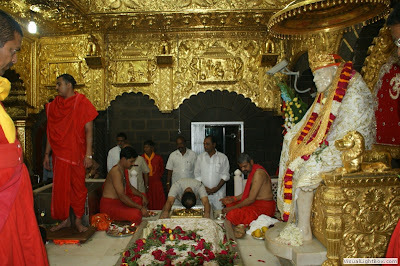 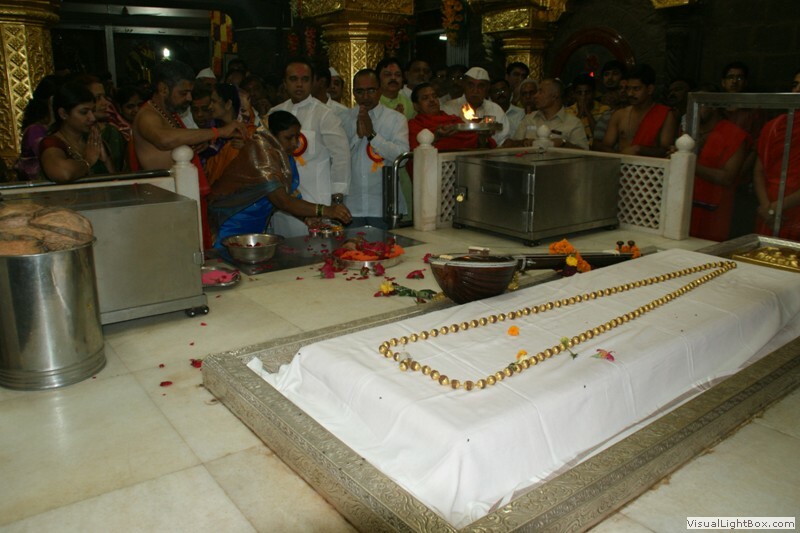 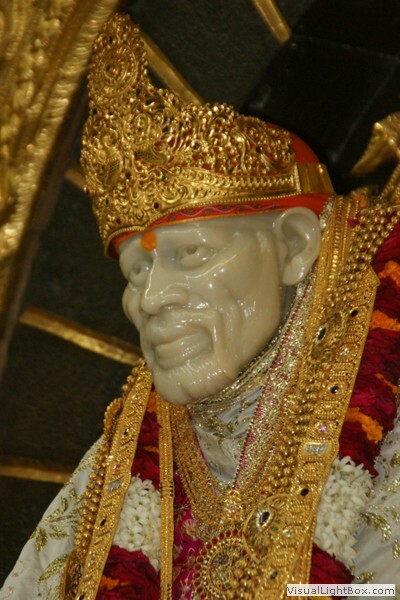 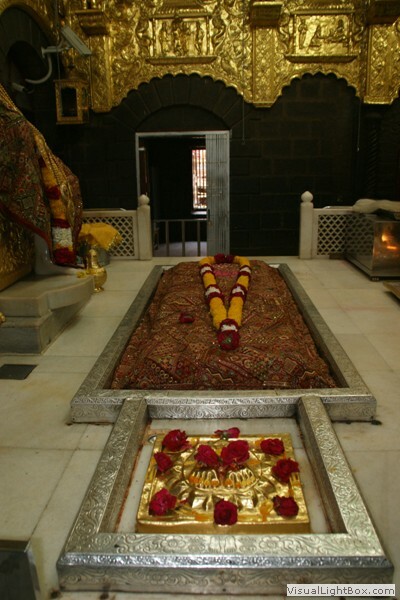 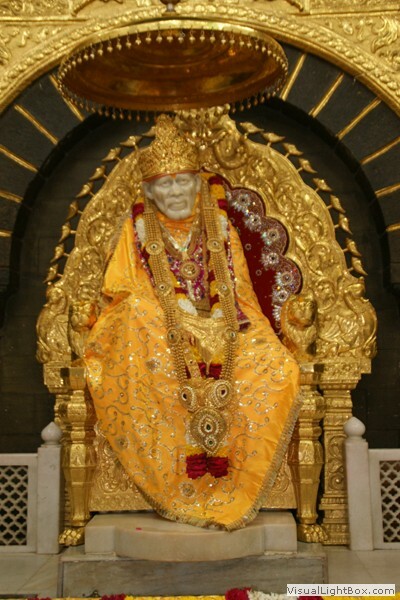 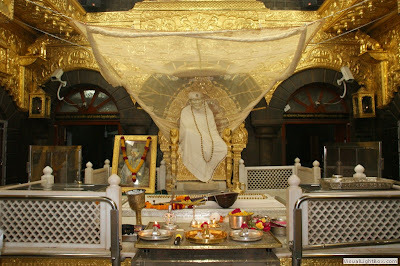 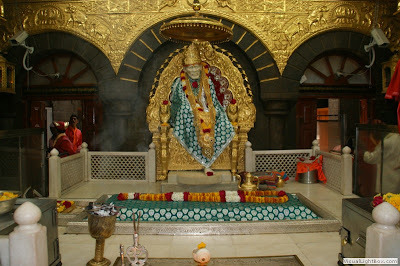 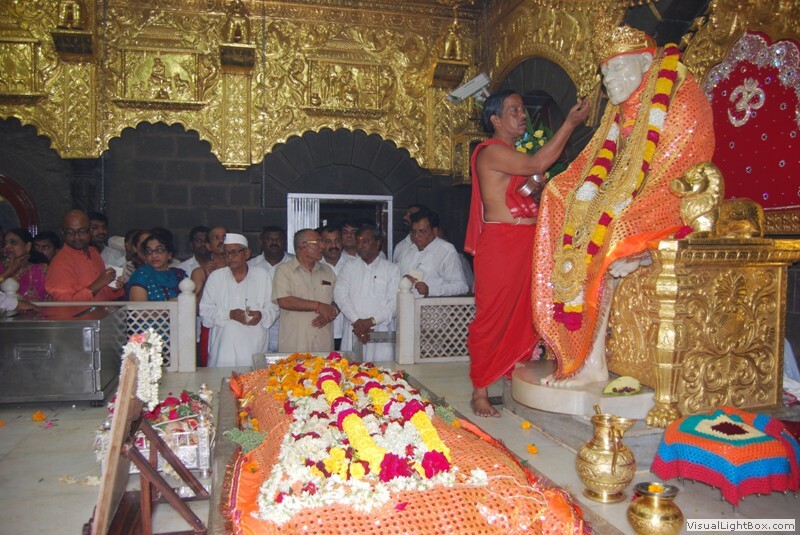 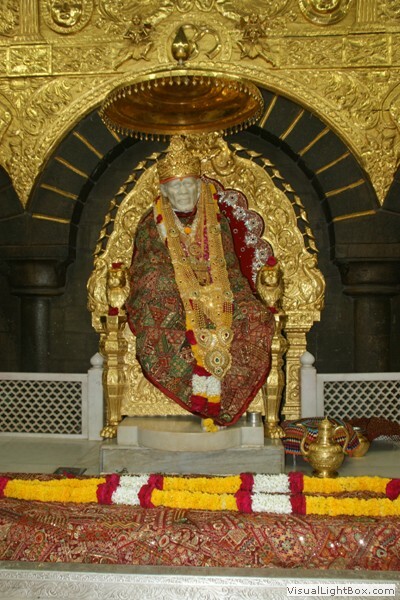 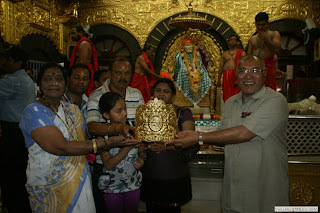 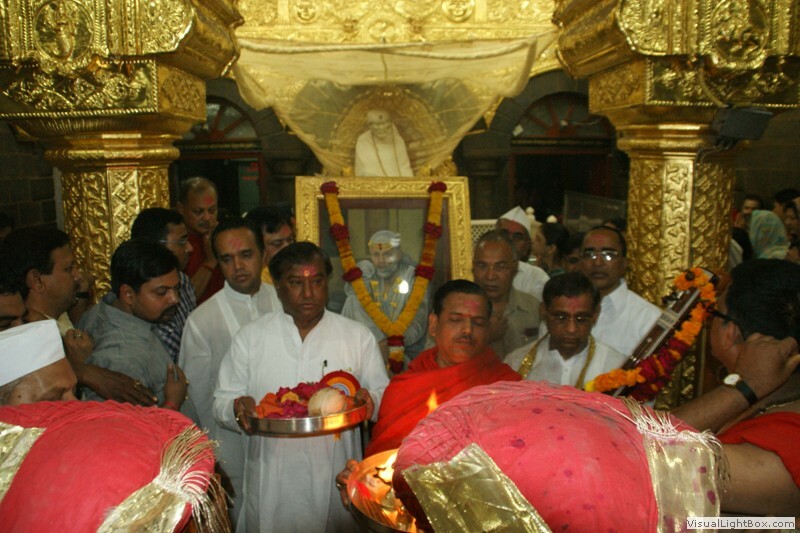 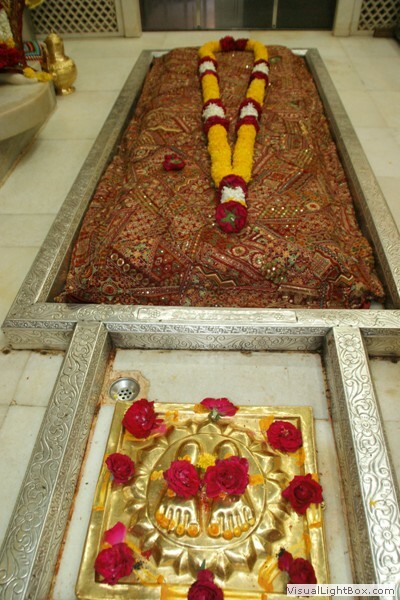 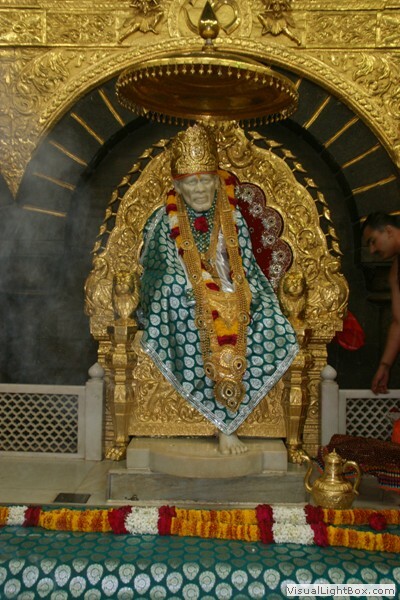 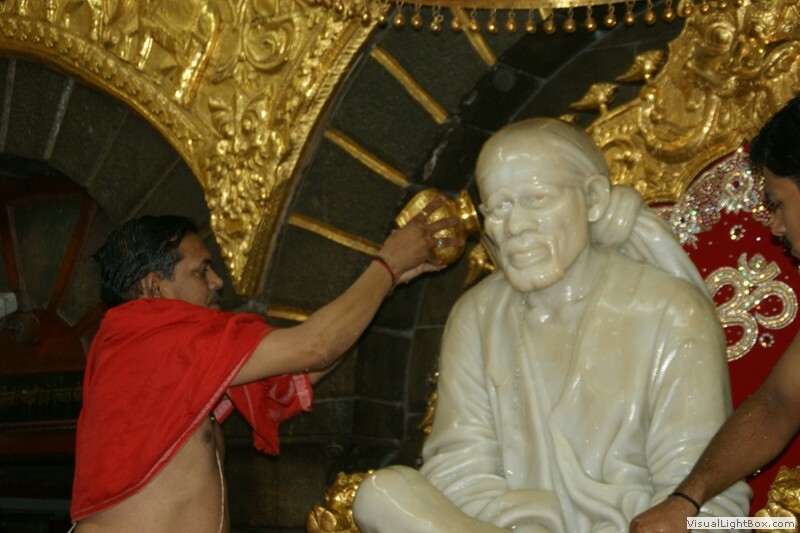 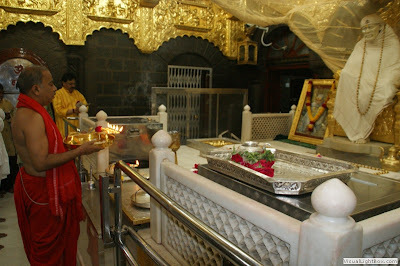 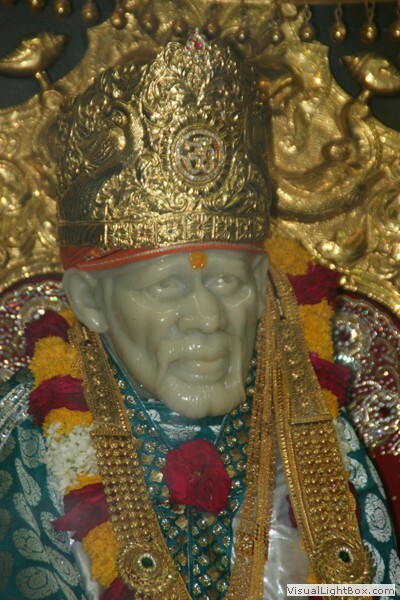 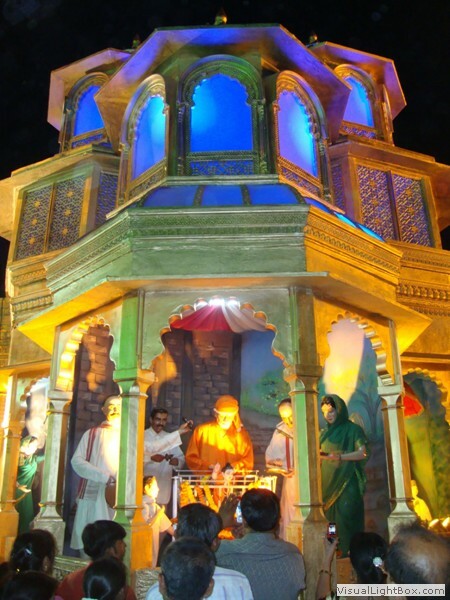 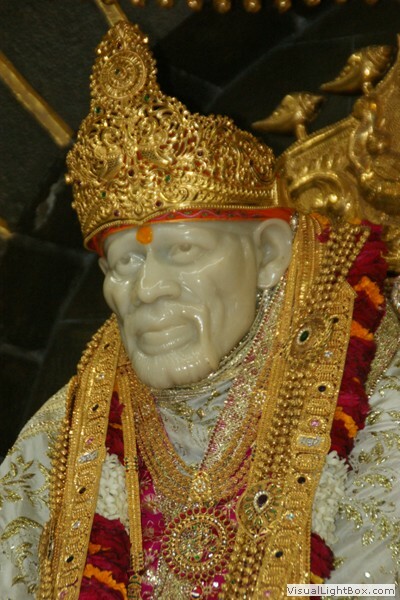 Shri Sai Baba Sansthan Trust`Shirdi has received Rs. 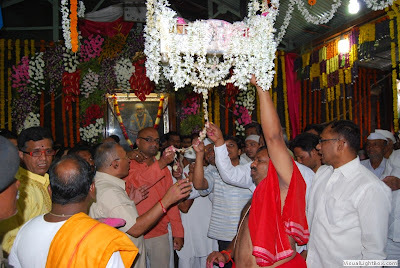 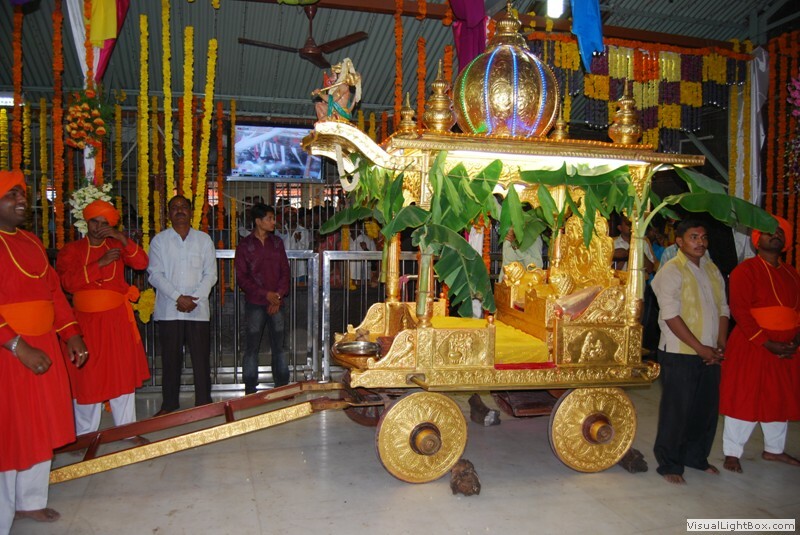 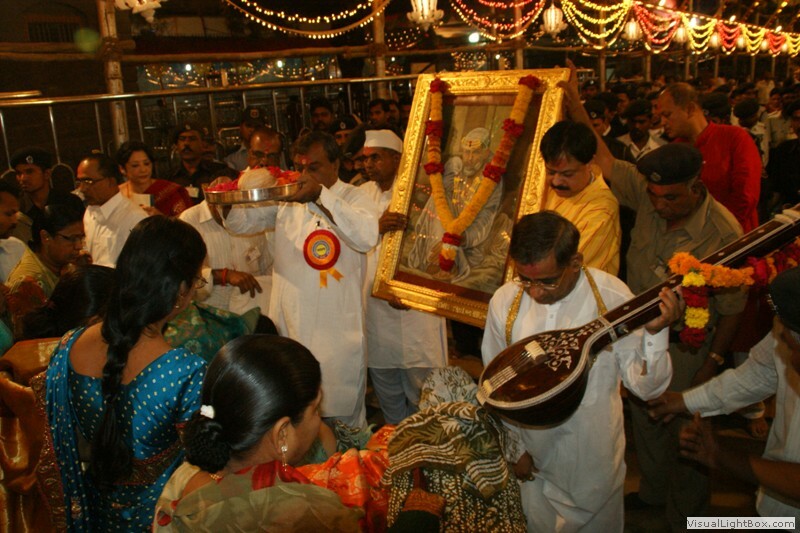 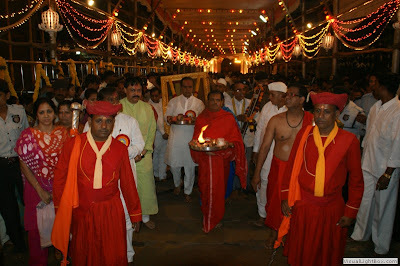 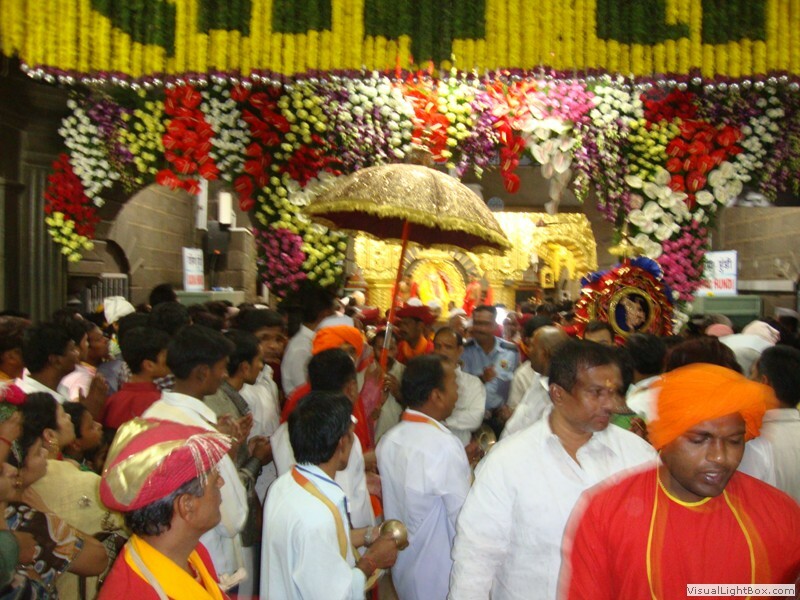 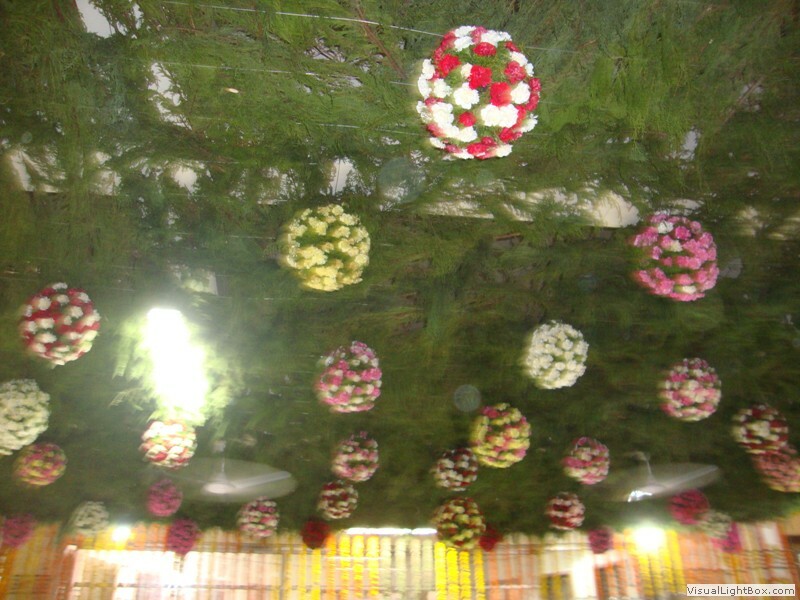 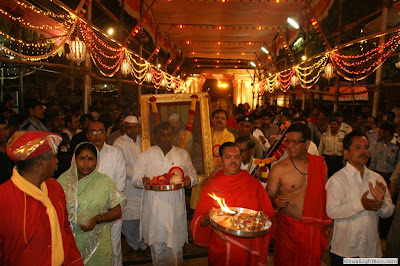 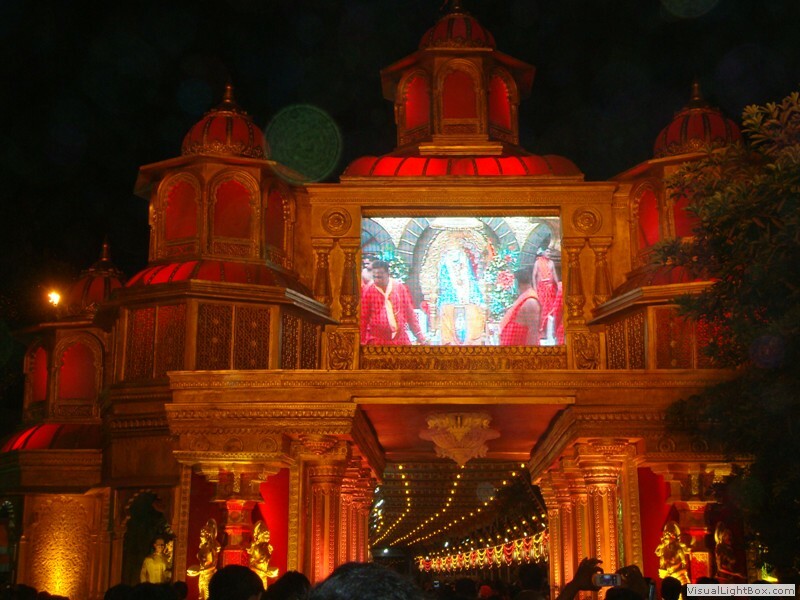 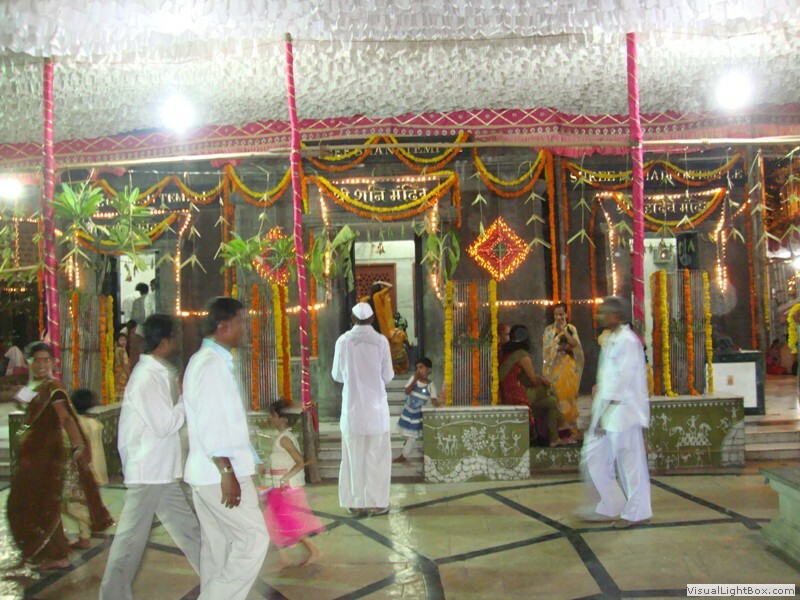 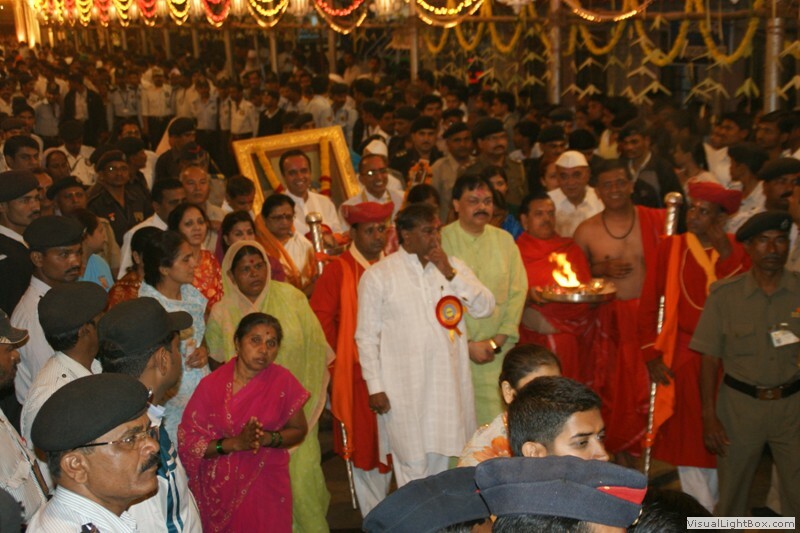 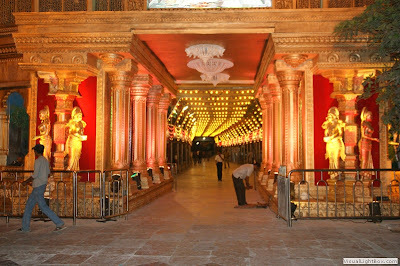 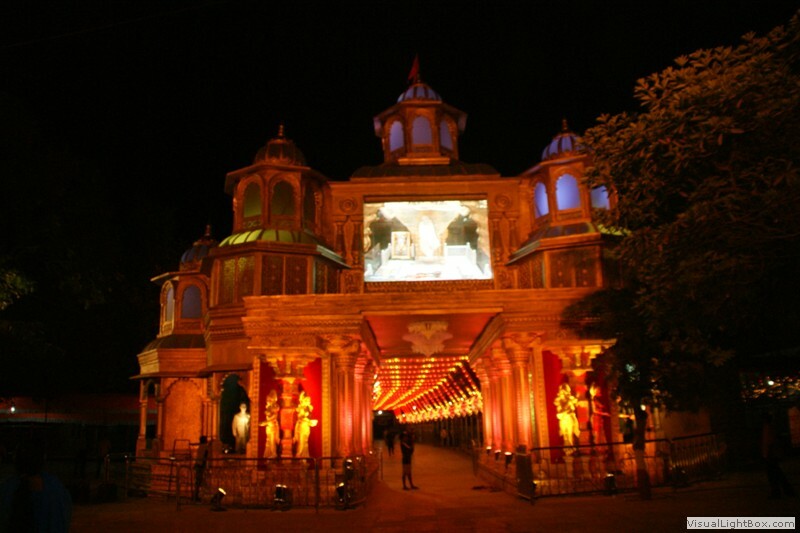 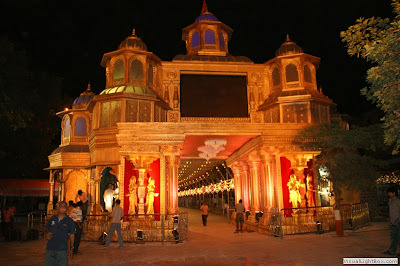 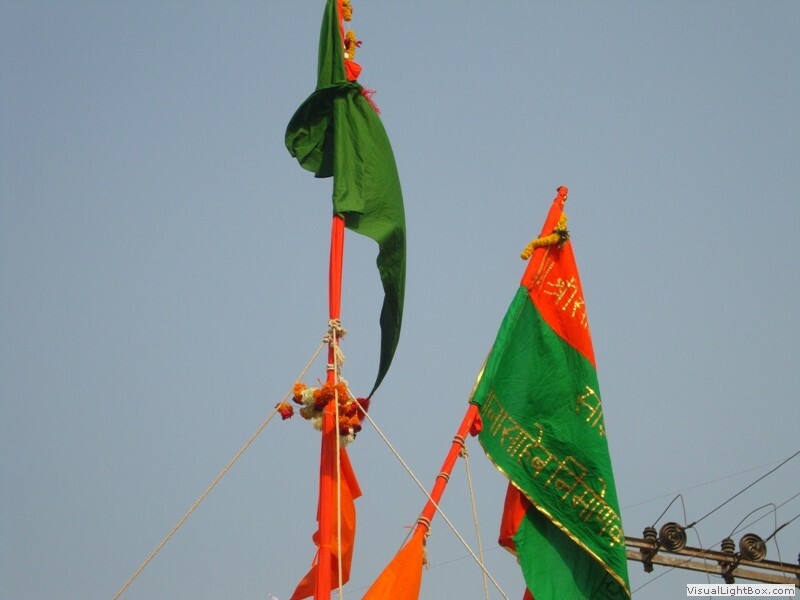 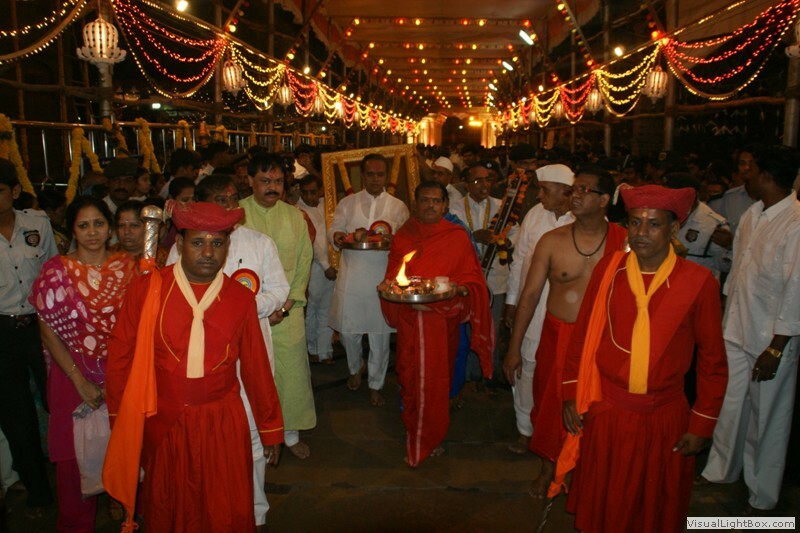 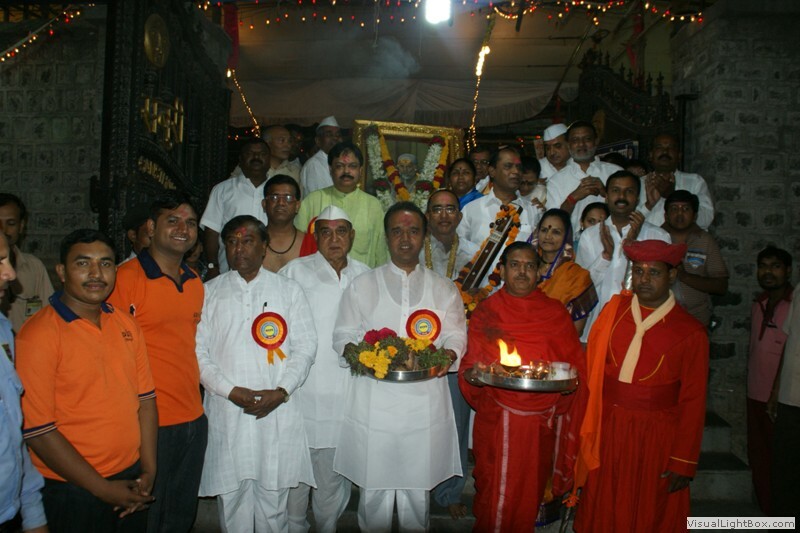 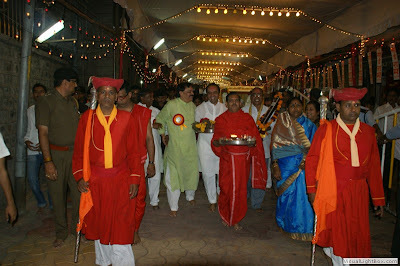 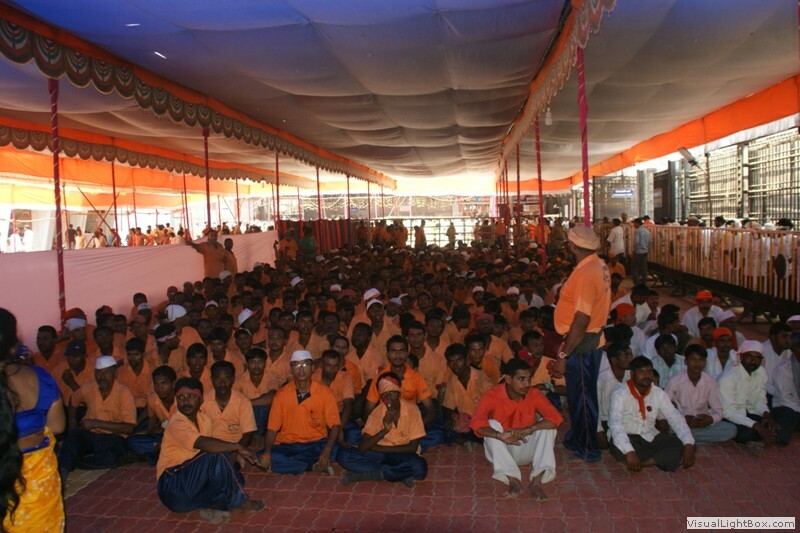 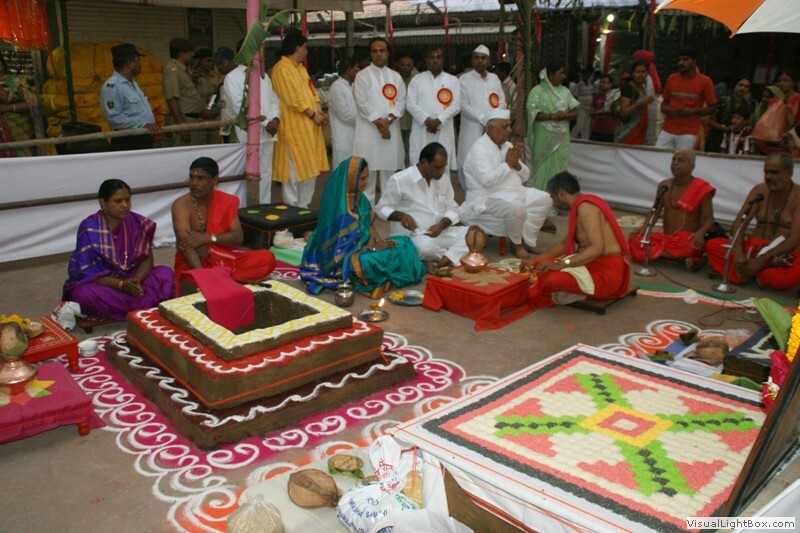 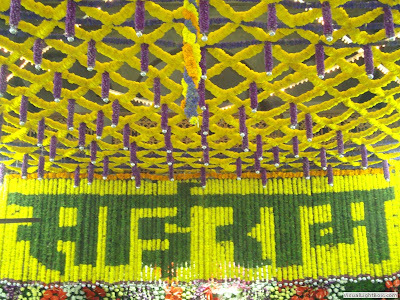 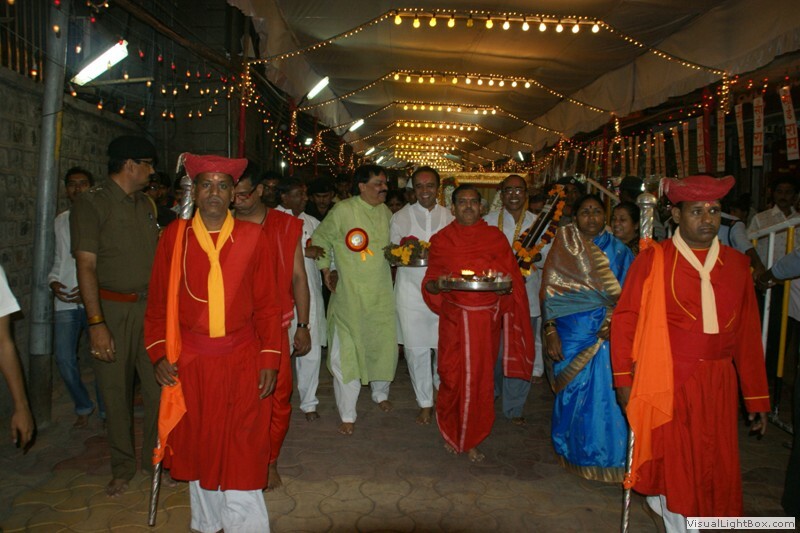 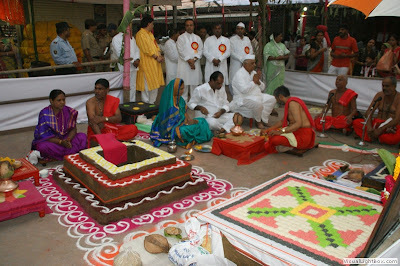 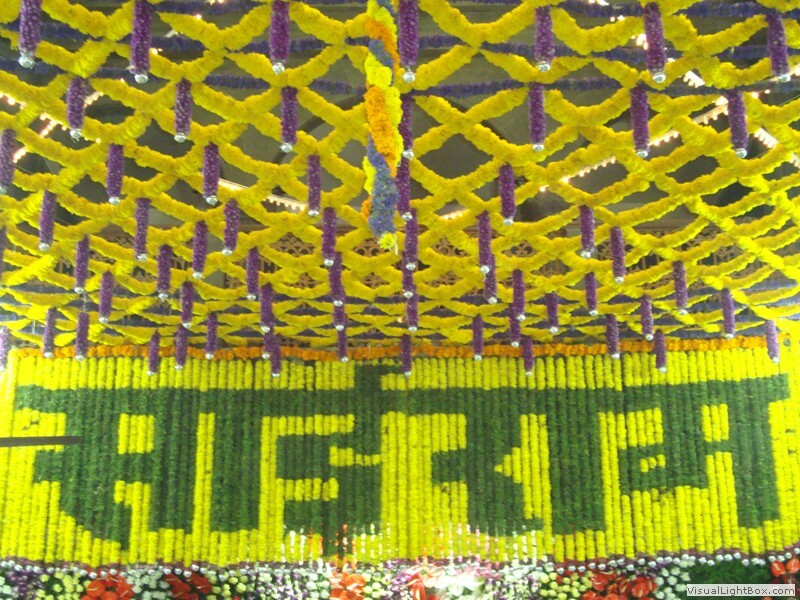 3 crore in donations during the 3-day long Ram Navami`2011 Centenary celebrations. 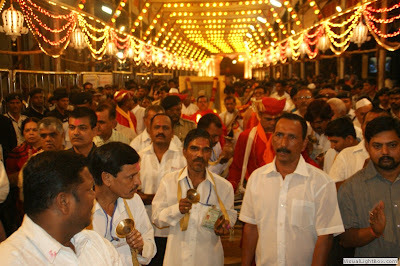 This is the 100th year of this festival. 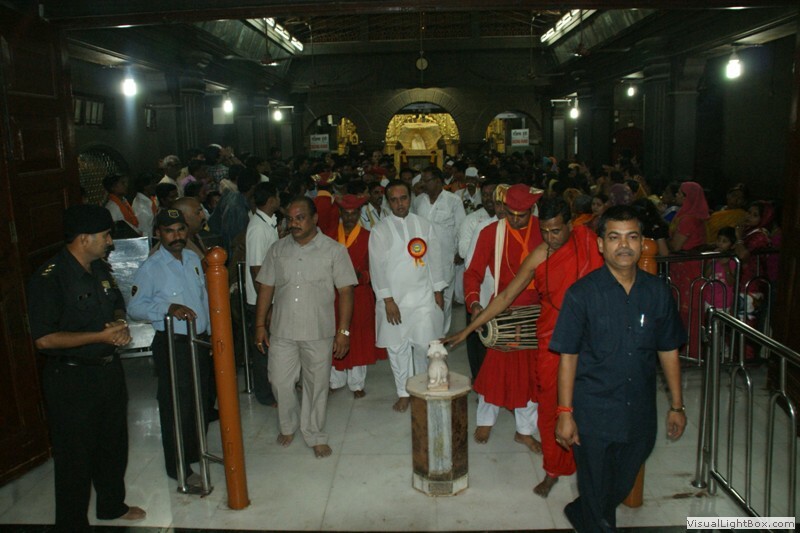 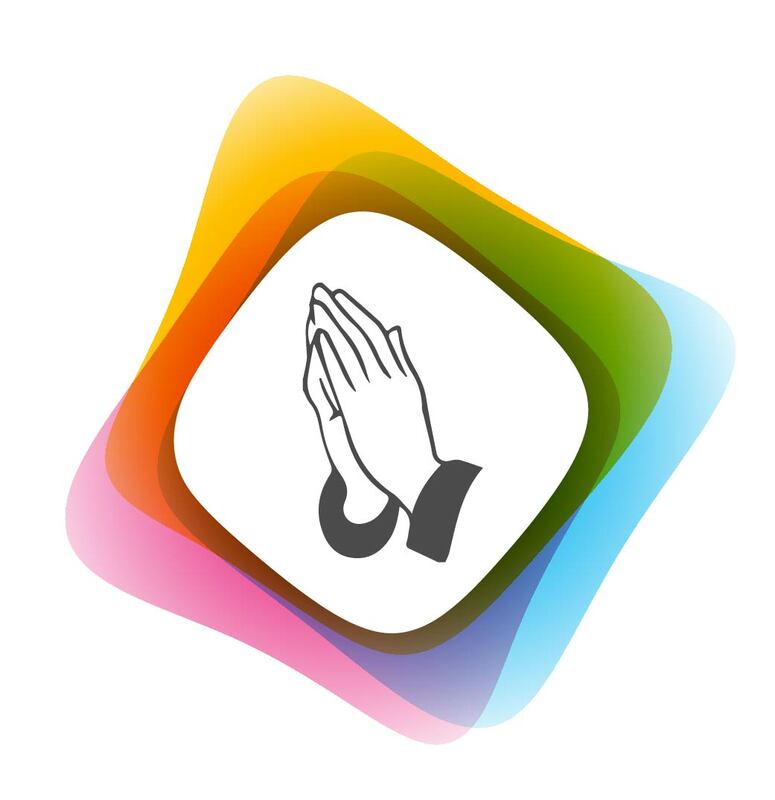 Rs 1.77 crore itself was received in the donation box in the Sai Temple, while rest of the amount was collected in the trust office, against donation receipts. 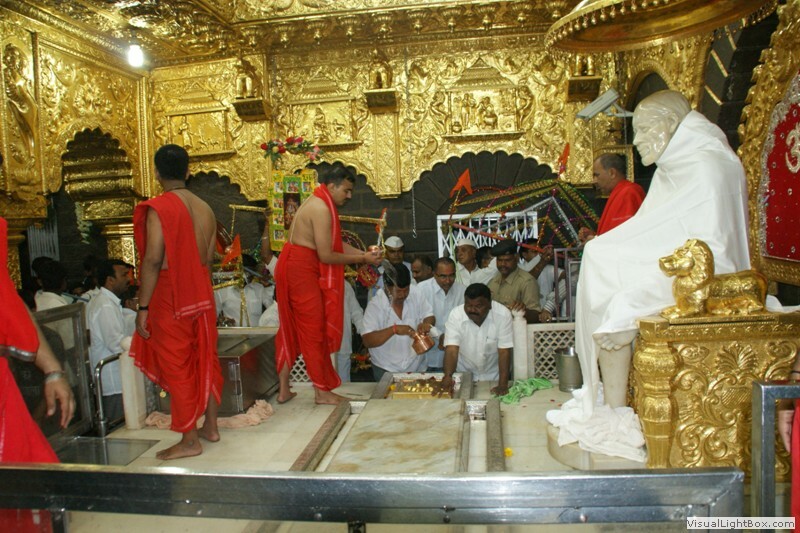 Executive Officer of the trust, Shri.Kishore More said that besides Cash, 5 kg Silver, 200gm Gold, and a 1kg Gold Crown too were donated by devotees, and around 1.8 lakh devotees received `Mahaprasad' in these three days.